Few debut books attempt to achieve what J. I. Rogers set out to achieve, and even fewer are able to create a story that is so unlike everything else out there. 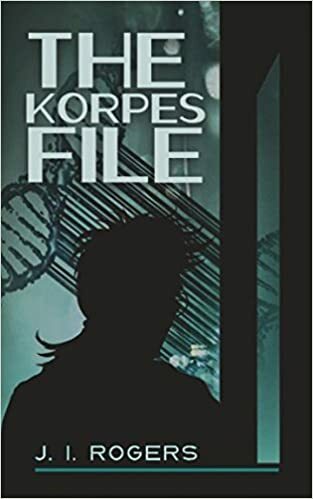 The Korpes File is one such work and a stellar debut novel for Rogers. Nash Korpes, a technician, born a Diasporan, the underclass of his world. When he is marked by the ruling class as a threat due to his genetic make-up, it is up to his own intelligence to fight back against not only the ones who hunt him, but the entire ruling class that looks down on everything from their comfortable high-rises. The goal of Nash and fighting what is essentially the 1% in Korpes’ world is both thrilling and interesting. And danger is never far from the characters in the form of corporate assassins, mass killings, and political intrigue. It is truly a dangerous, but wondrous world to inhabit all at the same time. The city states hide underground from the caustic rains on the surface, while the elites work on new ways to maintain control by subverting the masses under them. 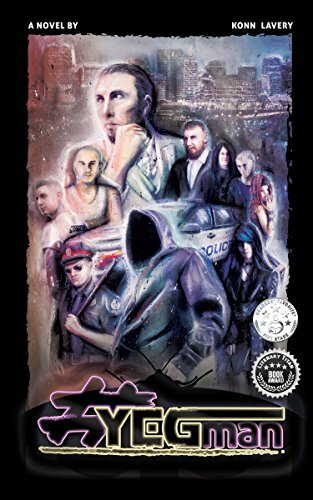 Both a gritty thriller and action-packed adventure, The Korpes File is a fast-paced race to the end, as Nash attempts to survive in this dystopian world. Yet, all of our investment isn’t solely spent on Nash, but on the plethora of other characters who fill these pages. The multiple points-of-view is surprising, especially in a first novel, but Rogers is able to pull this off by making sure all of his characters are dynamic, and at their core real “people.” This was probably one of the best parts of this book, and feeling all of their motivations and emotions was a particular pleasure, especially in a genre when the focus can rely too much on background technology or plot. Some of the pacing at times became a little strange with Rogers’ choice to skip over years in places, but it seemed to be a wash by the end. It isn’t often that a dystopian thriller can rise on a new set of legs, but Rogers sure does that here and makes sure that the start of his new series starts off running. 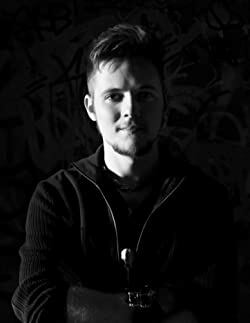 This book will be a pleasure to readers of all genres, as long as they can tolerate a gritty undertone and sometimes brutal violence. If they can trust Nash, then they will be in good hands. 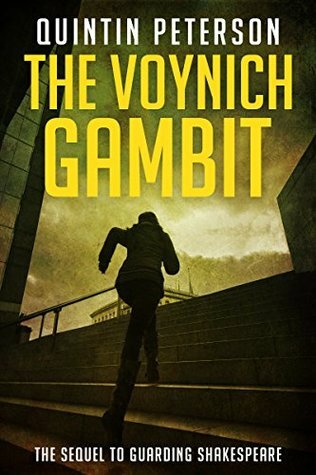 Author Quintin Peterson returns from Guarding Shakespeare with his next enthralling piece of crime heist fiction, The Voynich Gambit. The cunning mind of Special Police Officer Lt. Norman Blalock is put to the test when a slew of D.C.’s most infamous artifact dealers set their sights on a mysterious treasure of immense value, the Voynich Manuscript. Blalock must outwit and outmaneuver enemies from all angles in this gripping noir tale of mystery, motive, and deceit. True to style, Peterson beautifully weaves the rich history of The Folger Shakespeare Library and the manuscript into the gritty drive of its ruthless pursuers. The Voynich Gambit is an epic tale of cat-and-mouse, arguably fit for a play by the Bard himself. 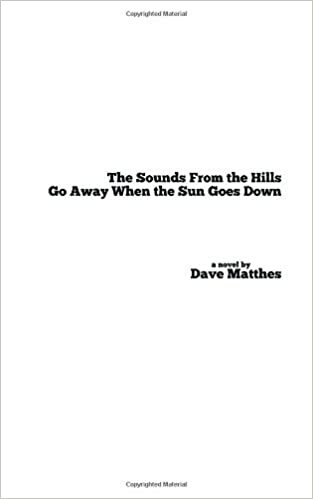 The novel is set in a bustling modern day D.C., a mecca of polished skyscrapers, historic landmarks, and endless traffic. Peterson’s vivid imagery is infused throughout the novel, generously describing the luxury of these looming buildings. At the Folger Shakespeare Library in downtown, Lieutenaunt Norman Blalock has been working as a security guard for over two decades, protecting its treasures from the likes of handsy museum-goers and would-be theives alike. His seasoned tenure makes him a trusted employee to the security staff, but it also makes him an invaluable asset to Rupert Whyte, an aristocratic con-artist who is scheming up a heist fit for the history books. Whyte reads from the pages like a regular King Pin – a ruthless blueblood brimming with determination for ill-gotten gains. When he requests that Blalock palm the Voynich Manuscript, an ancient archive of medical knowledge, Blalock must decide where his true loyalties lie – in riches or in righteousness. This is a conflict as old as time, weighing greed against integrity, and Norman is no exception to this struggle. To complicate matters even more, the buxom beauty Kavitha Netram has arrived at Blalock’s door, suitcase in hand. Kavitha certainly has the looks to be a trophy wife, but Norman must trust his instinct that she’s here for much more than just a cuddle buddy. As their relationship begins to develop, author Peterson injects a modest amount of cheeky pop culture into the mix, noting some current brands along with a famous U2 song. These moments of reference feel quirky and endearing, and offer a refreshing change of tone from the steep historical passages. Don’t be surprised to find yourself absent-mindedly humming along to “With or Without You” as you read along. As it becomes obvious to Norman that Rupert Whyte isn’t the only artifact dealer dipping his hands into the cookie jar, he must strive to stay two steps ahead of this dangerous game of fidelity and fortune. Peterson’s quick writing style will keep you engaged, even through the varying pace of lavish history and casual conversation. Peterson writes confidently, and it’s admittedly impressive how far his knowledge seems to spread. Art, history, crime, action, and romance – The Voynich Gambit honestly has it all. I would heartily recommend it to any fellow lovers of the noir style.